Here we make a list of the best 15 Popcorn Time alternatives for you to stream kinds of movies and shows on PC and mobile devices. All the apps and sites function like and even better than Popcorn Time. The new apps are added timely. Stay tuned for the constantly updates! Popcorn Time provides online video streaming free service for users and it wins great popularity among movie fans. But its legitimacy and the real official Popcorn Time website have still been disputed. Moreover, people have met the sudden shut-down of Popcorn Time for times. So it’s advisable to find some good apps like Popcorn Time for a rainy day. Considering that many of you have the need, this article lists the best 15 Popcorn Time alternatives for PC and mobile users. So you can free watch any shows and movies without hassle. 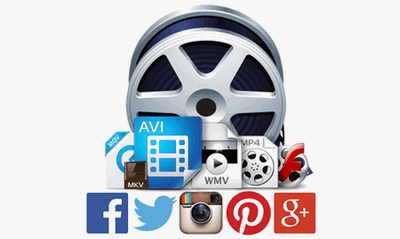 Download videos and movies in 720p/1080p/4K/8K from YouTube, Facebook, Dailymotion, Vimeo, and other 300+ sites; convert any video files to MP4, AVI, MKV, FLV, MOV, WMV etc. enable you to play any videos and audio on your mobile phone, tablet, PC, game console like Xbox, PS4 and so forth. 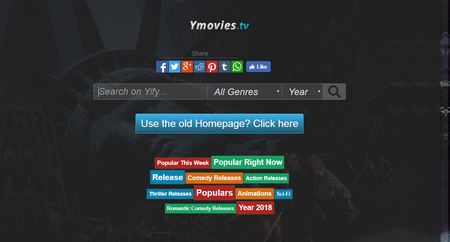 YiFy.TV is a good option for people who need sites like Popcorn Time to watch full movies online. Open it on browser and you can stream any movies free you like. The new homepage is more compact and easy to navigate. It enables you to find movies by different genres and years. Or you can enter a key word to search movie. YiFy.TV provides YiFy movie torrent download in different resolution, formats and sizes. So no matter you’re a PC or mobile user, you can watch movies on YiFy.TV through your browser or download the movies in format and size supported by your devices. 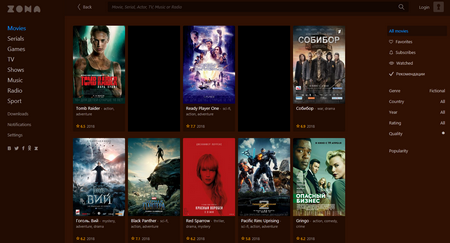 Zone.ru is a Windows-based Russian alternative to Popcorn Time. Like Popcorn Time, Zona.ru allows users to stream and free download movies from the Internet via BitTorrent. Now it’s only for 36 megabytes Windows operation system and all the contents are available in English. You can find different types of contents including movies, TV shows, music, radio, sports and even game. The interface of Zone.ru is well-designed. Although this program advertises, there is no any issues of malware. Flixtor and Popcorn Time have the similar interfaces and even very similar features. Generally, Flixtor allows you to choose torrent source, stream videos, and play the movies with VLC player rather than its built-in player. Actually, Flixtor came into view with impressive speed after the original Popcorn Time was down. It’s available for Windows, Mac, and Linux. And Android users can also access to the app. 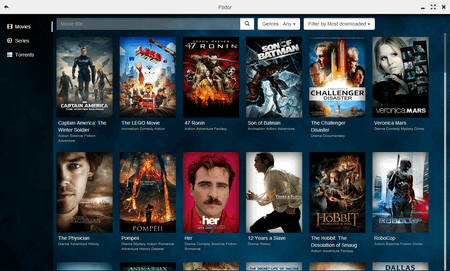 Compared with other apps like Popcorn Time, although Flixtor is less well-known, it’ a good option to watch movies. I believe most of you know the great alternative to Popcorn Time, Hulu. It supports not only mobile devices including Android and iOS, but also OS X, Windows, MAC, kinds of TVs as well as streaming players. This cross-platform app with large streaming library can fully meet your needs of watching any TV shows, movies, exclusive series, etc. What’s more, the new contents are updated timely. You need to pay for its attractive features after the time-based free trial. And while we're at it, the other popular streaming service like Hulu must be mentioned. Kodi is one of the most noticeable Popcorn Time alternatives and it does even better job than Popcorn Time. There are plenty of legal contents for streaming and watching. Kodi are available for a huge range of devices and operating systems, such as Windows, OSX, iOS, Android, Linux, Raspberry Pi and it can stream virtually all media on the internet. Meanwhile, Kodi has an active community there you’re able to communicate with more friends. For TV shows fans DUckieTV is a great free video streaming application to find and download the favorite TV shows and it provides a personalized TV-Show calendar, as well. The latest shows are upgraded to ensure you will not miss any good shows at present. 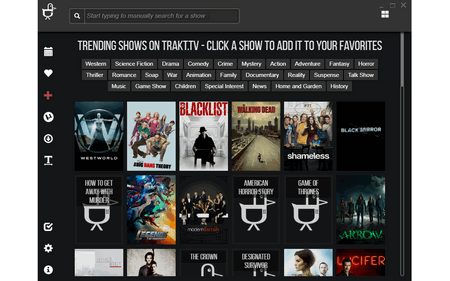 DUckieTV offers an integrated blocking-resistant torrent search to help you find the exact sources in a breeze and also connect your local Torrent client with DuckieTV in real time for handy downloads and playback. So far, DuckieTV supports 15 languages and it’s one of the best apps like Popcorn Time. If you’re looking for an app supporting to play various types of files like DHT, IPTV and P2P protocols, Rox player is certainly one of the best options. Rox player is simple but useful as it can automatically download all necessary video/audio codec that your device doesn’t have. So you can easily play media files that are not supported by most players. Rox player helps you to stream audio and video on various platforms yet it’s not a complete alternative to Popcorn Time. Because Fox Player itself is for playing local media files and only available for Windows users. But the integrated network modules allow ROX Player to play files from any place in the Internet. Couch Potato is a good Popcorn Time alternative and the highlight is that Couch Potato helps you to watch high definition TV series and movies and stream media files in quick and free way. What’s more, Couch Potato can search your desired movies through multiple NZBs & Torrents sites over the internet and download the files automatically. Meanwhile, this software offers CouchPotato extensions for Firefox, Chrome and Safari to improve your video streaming experiences. Another feature is watching movies in the desired subtitles. You must have heard about Crackle, a popular Popcorn Time alternative, which enables you to watch your favorite movies and TV shows free. In this spring of 2018, Crackle has been rebranded as Sony Crackle and it would be a black horse as one of the best websites like Popcorn Time. Now Sony Crackle is popular globally and devotes to offer great features and keeps updates. Log into your account and you’re able to save movies and TV shows or choose to watch them later. If you don’t want to make an account, just open Sony Crackle and directly hit a movie to watch. 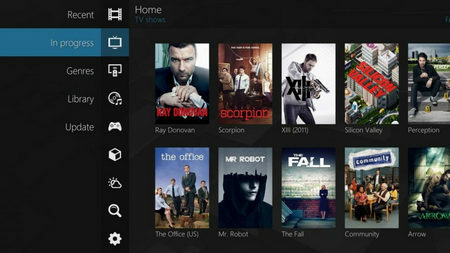 The interface of Sony Crackle is modern-designed and easy to navigate. It works on Windows, MAC, Android, iOS, etc. As the homepage shows, Stremio is a one-stop hub for video content aggregation that you can find, organize and watch different types of videos on any devices that you have. On Stremio, you can easily find movies, TV shows, web channels from pop video-sharing sites like YouTube and other media files. 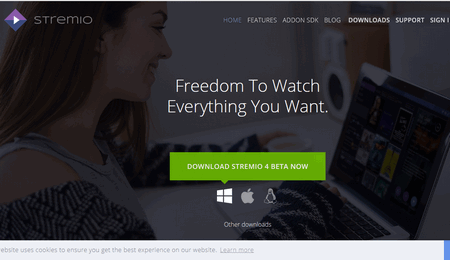 Stremio has versions for Windows, Mac, Linux, Android. Once you install Stremio on your PC, register for and login to your Stremio account, and then you can watch your loved movies instantly. Now more and more people prefer watching videos on mobile devices at ease. Therefore, we select the top 5 programs like Popcorn Time for mobile devices. Just carry the entire video library in your pocket. ShowBox is a good app similar to Popcorn Time to download and watch movies and TV shows free on your Android. You can choose a video resolution from 480p, 720p, or 1080p and upload subtitles based on your performance and demands, watch and download 1080p movies and download TV episodes and shows on Android. The alternative to Popcorn Time is easy to handle, full-featured and has a large video library. If you’re looking for a Popcorn Time alternative that has well-organized and user-friendly interface and can help you to find the target movies by genres, MovieHD is worth a try. This video streaming app enables users to search videos by genres, popular, new, update and rating. Besides, there are enough 3D movies for watching. It’s available for both Android and iOS. PlayView is many Android users’ choices. 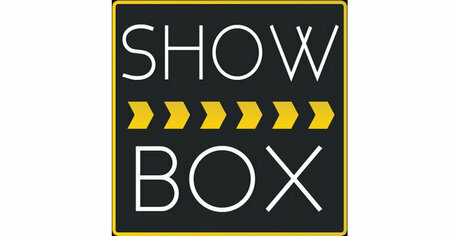 Like ShowBox, it enables you to watch movies and TV shows, or download them to watch offline. Most of the video resolutions are 720p or 1080p. 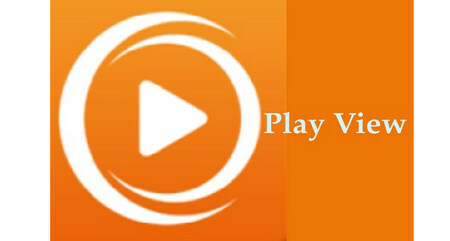 PlayView classifies its video library into different sections including the news updates, different genres and categories. The quick search bar helps you to find the target video in quick way. PlayView also offers movies that are in multi-language so you can watch movie in a specified language. The highlight of CinemaBox is its standard and high quality. It’s a relatively new alterative to Popcorn Time and has the similar features as other apps like Popcorn Time, such as well-designed navigation bar and various video resources. It’s works well on iOS. MegaBox HD is a good Popcorn Time alternative Android you can try. It supports downloading and streaming movies free. Large number of movies and TV shows with high quality are available. Its interface is neat and easy to navigate. 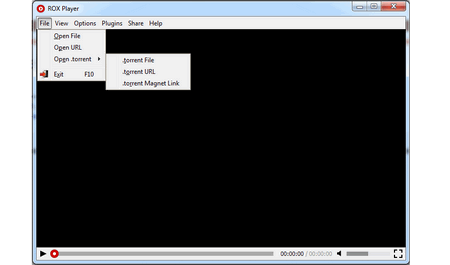 Besides, you can use this alternative to Popcorn Time integrated with VLC and other players if you like. 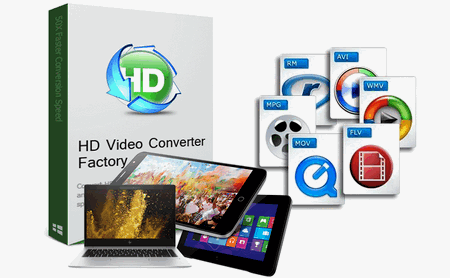 Free HD Video Converter Factory offers the quick and easiest solution to download movies, music, TV shows, and convert video files. It’s 100% free, easy and helps you to enhance visual experience to most.